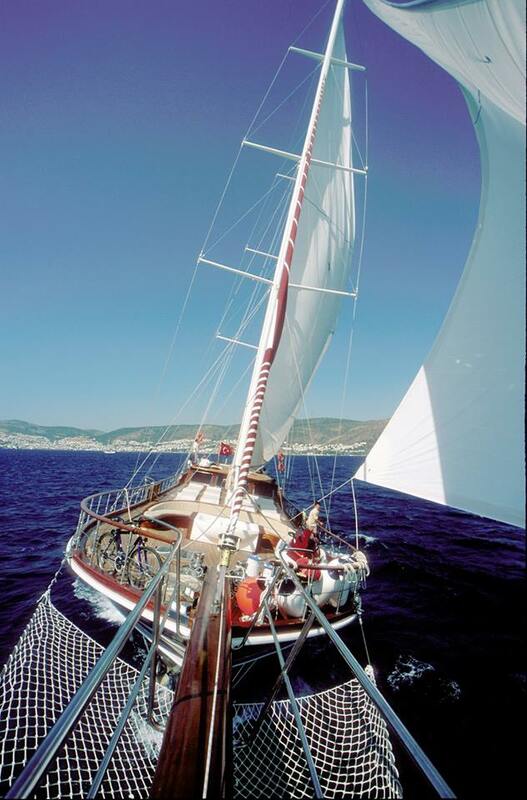 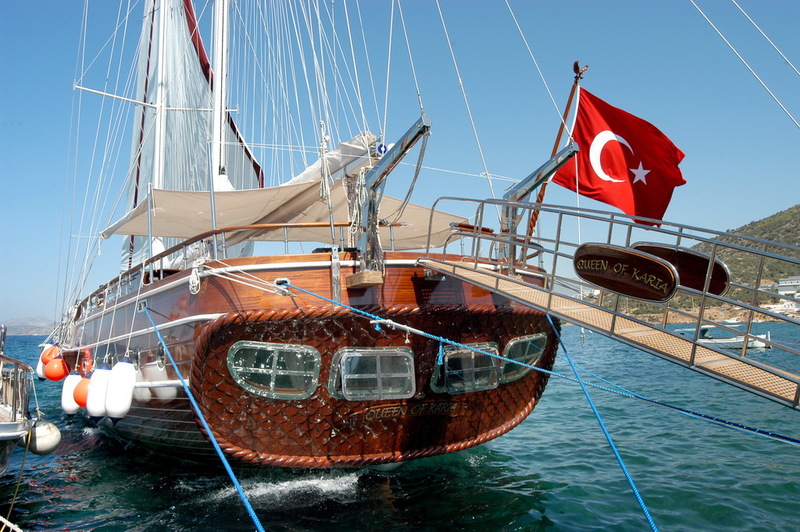 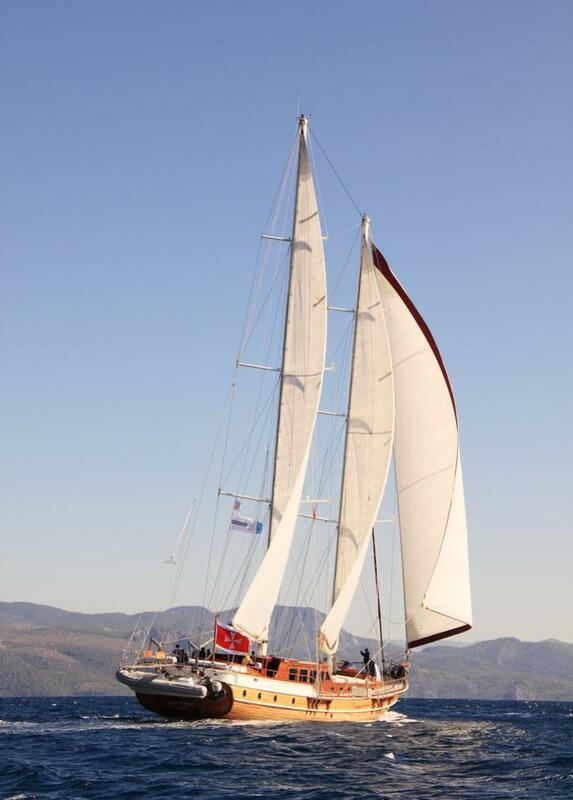 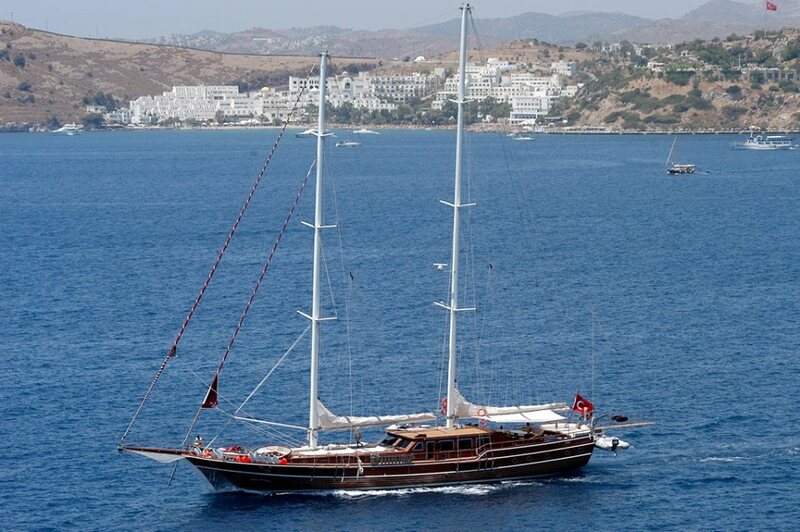 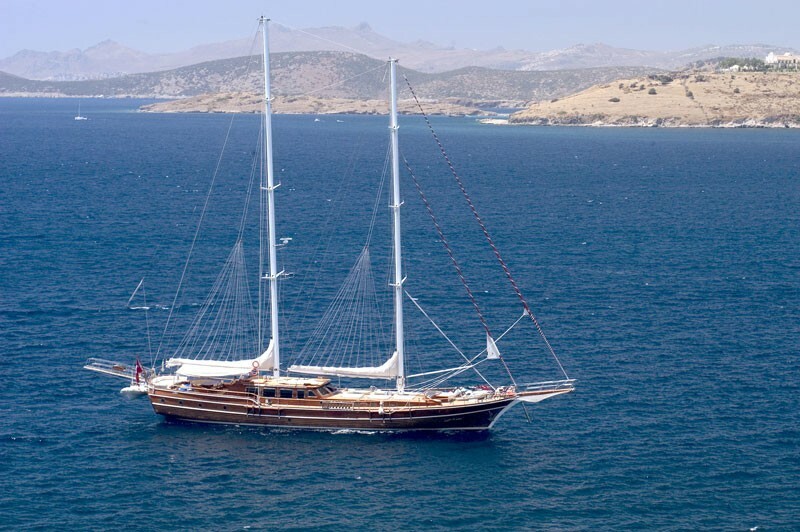 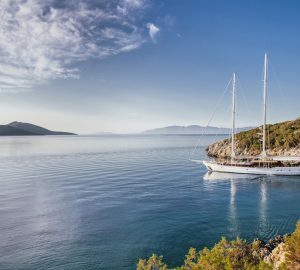 Built by the Turkish shipyard Agantur, sailing yacht QUEEN OF KARIA is a majestic 35-metre gulet/schooner, launched in 2006. 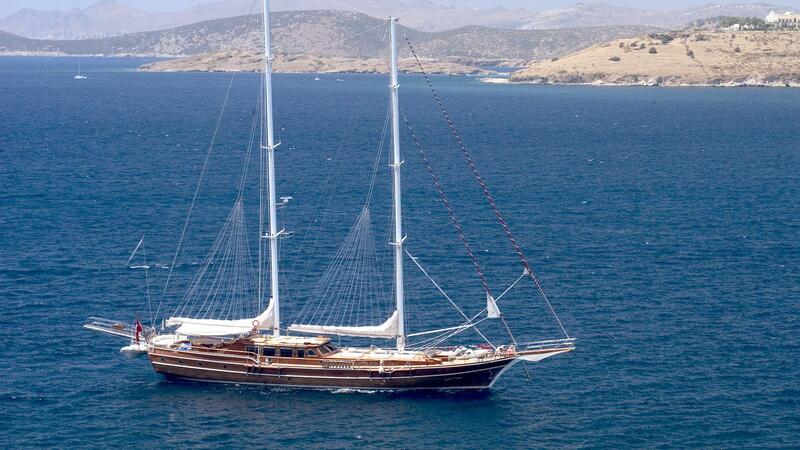 Superyacht QUEEN OF KARIA has been beautifully penned by Mustafa Ozkalay. 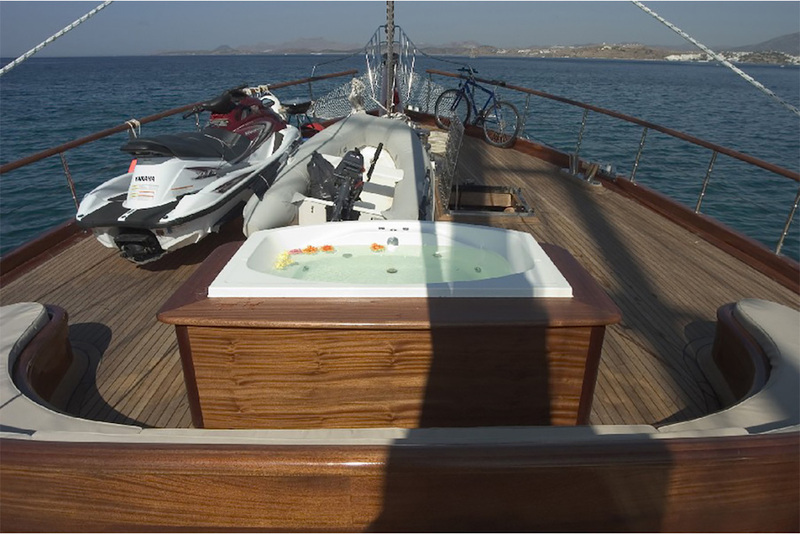 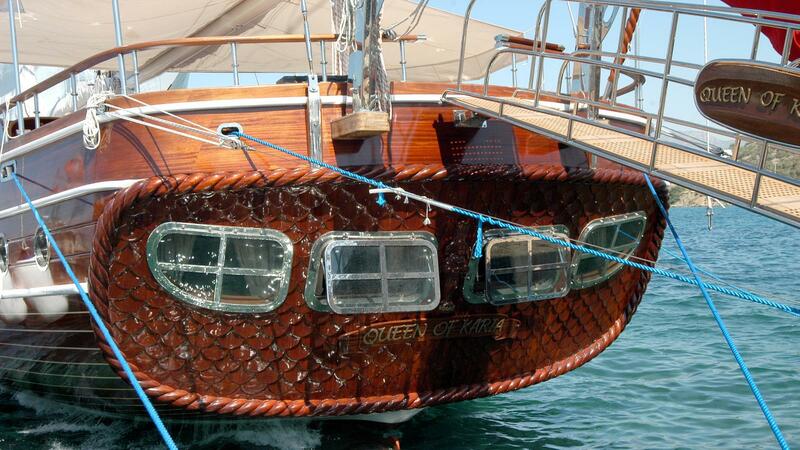 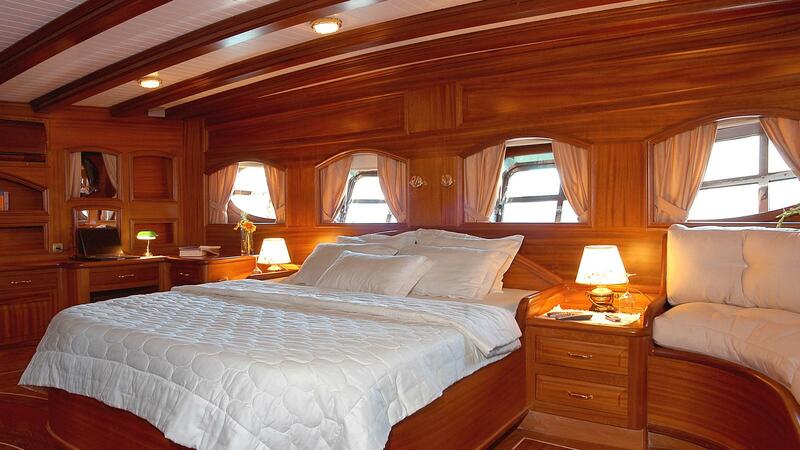 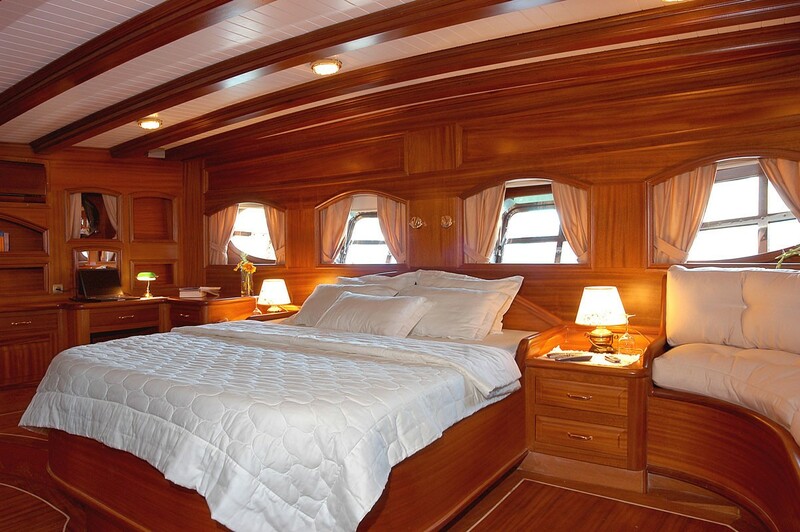 Crewed charter yacht QUEEN OF KARIA features spacious interiors with a timeless elegance. 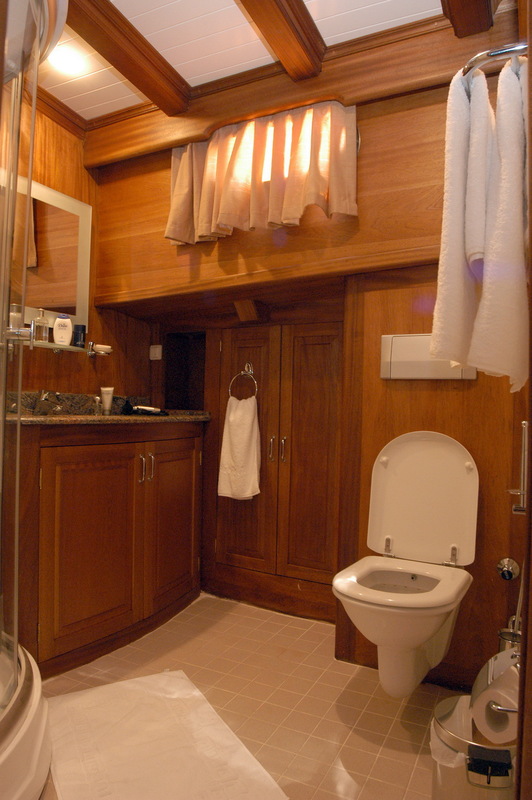 Exquisite joinery throughout and neutral soft furnishings offer a contemporary atmosphere. 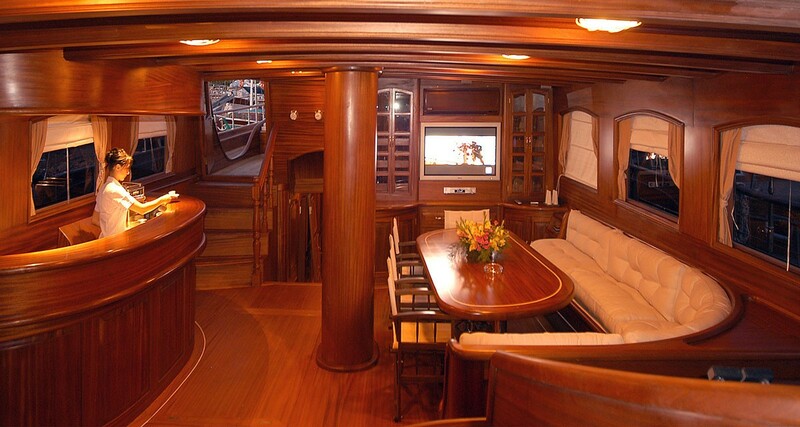 The salon is in a raised position, boasting ample seating, a formal dining table, complete wet bar and full entertainment systems. 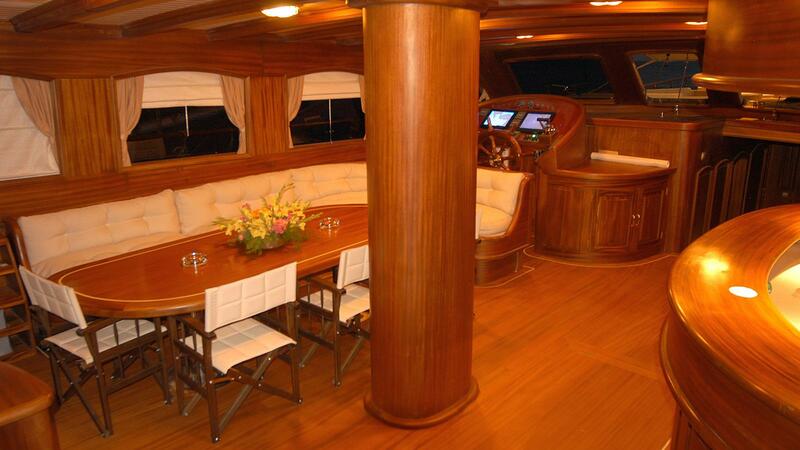 Panoramic windows surround the salon and dining area, enhancing the fine woods with natural light while providing scenic views. 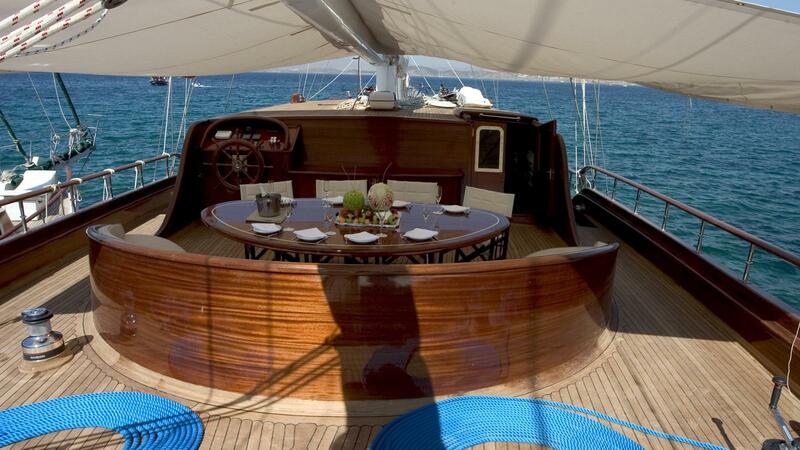 There is plenty of exterior living on generous teak decks. 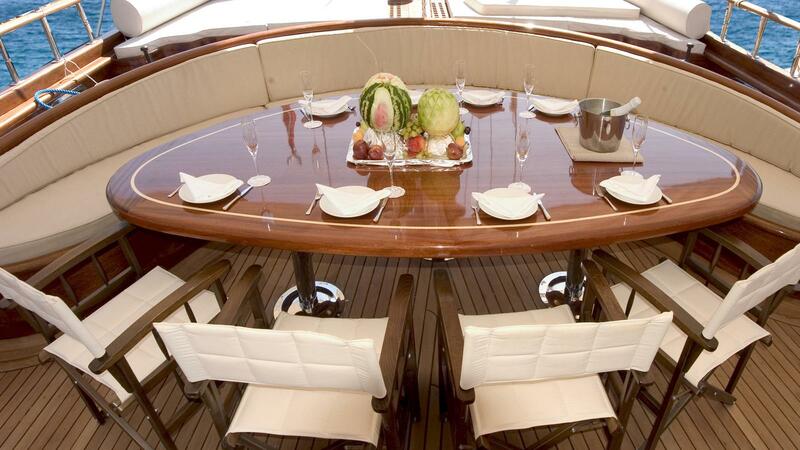 The aft deck offers optional shade, and alfresco dining table and full beam aft sun pad, perfect for sunning, relaxing or socializing. 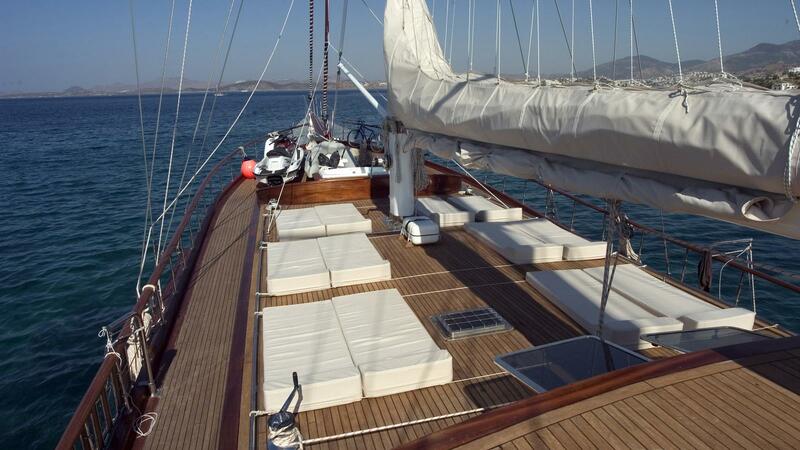 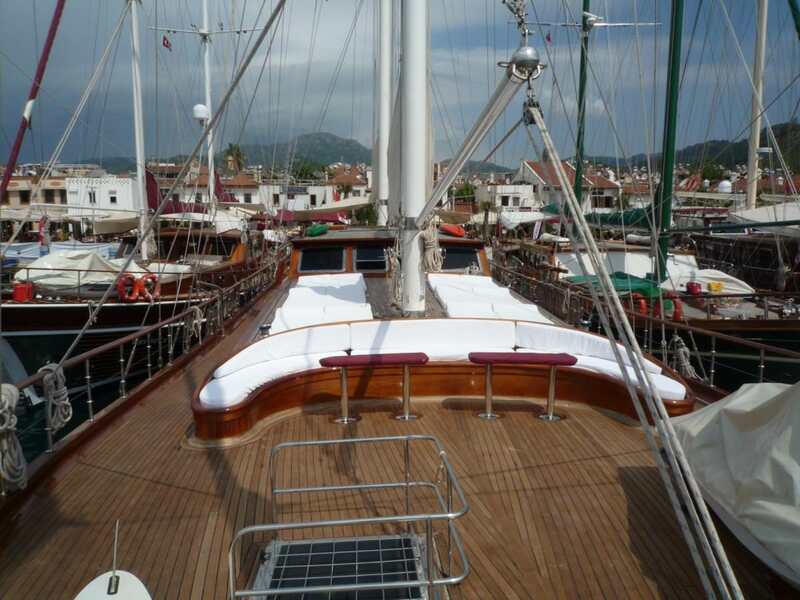 Wide side decks lead forward to a large foredeck, further seating area and full complement of plush sun pads. 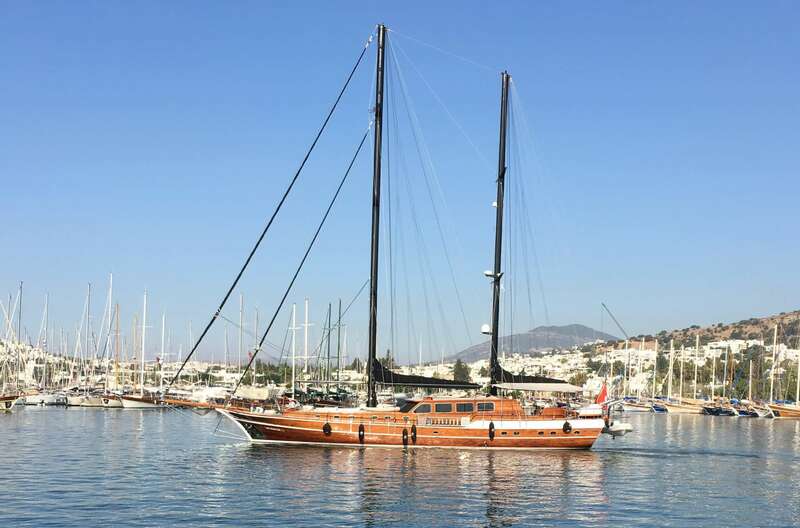 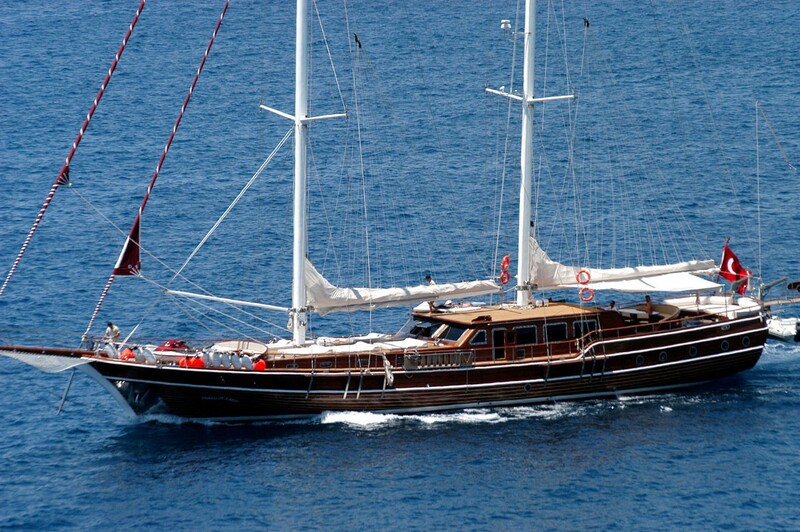 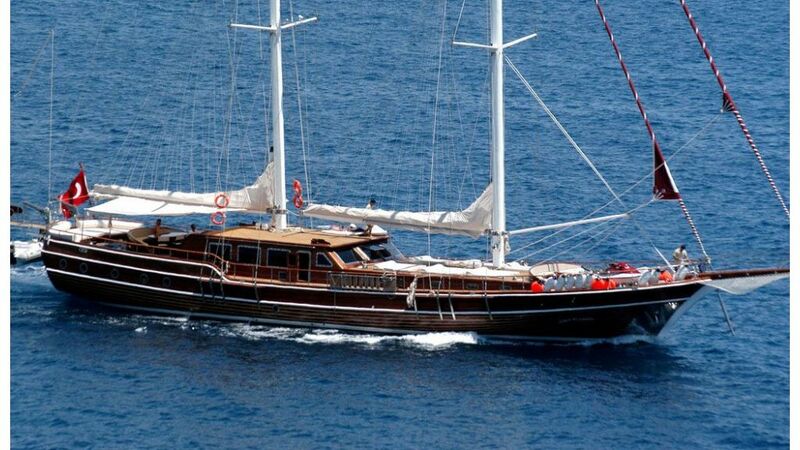 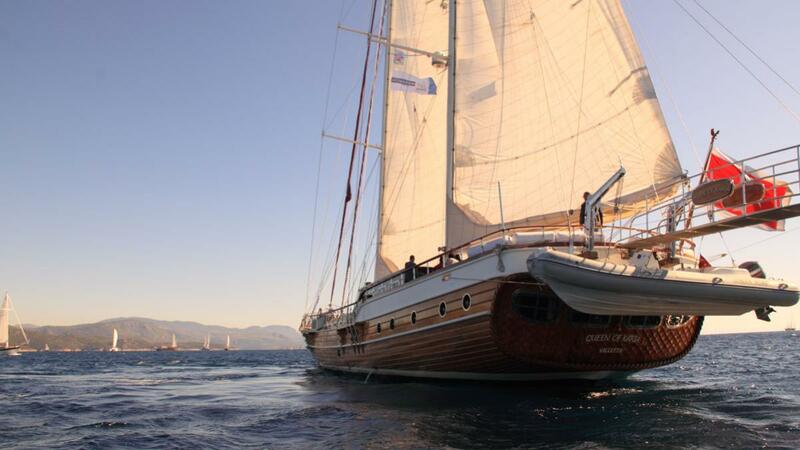 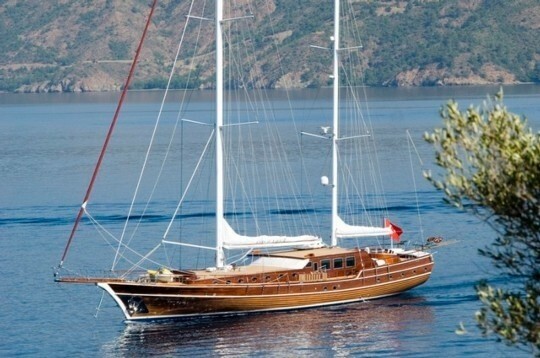 Entirely made of wood, the 37-metre gulet QUEEN OF KARIA can reach a comfortable top speed of 14 knots and a cruising speed of 10 knots, thanks to her twin 440 HP MAN diesel engines. 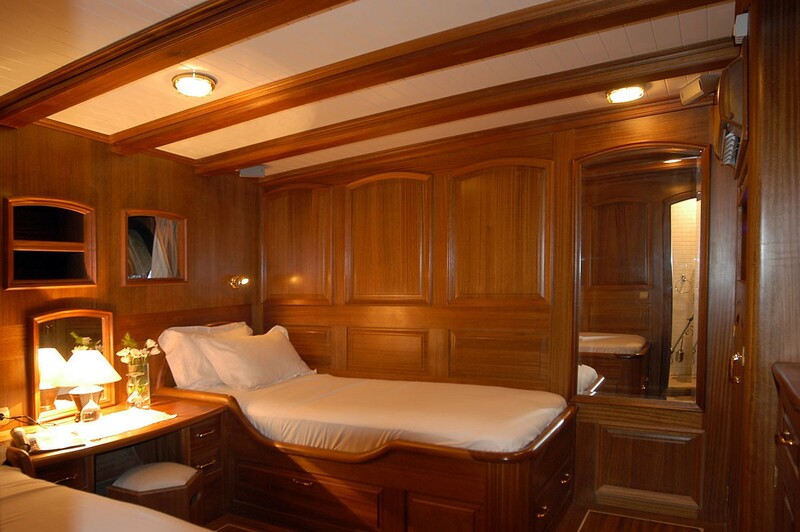 RINA classed, she has a beam of 7,95m (26'08'') and a maximum draft of 3,30m (10'83''). 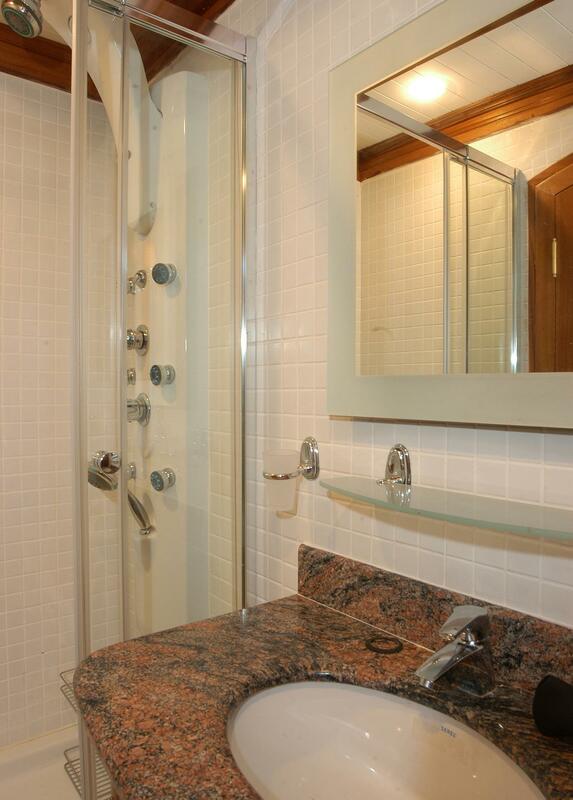 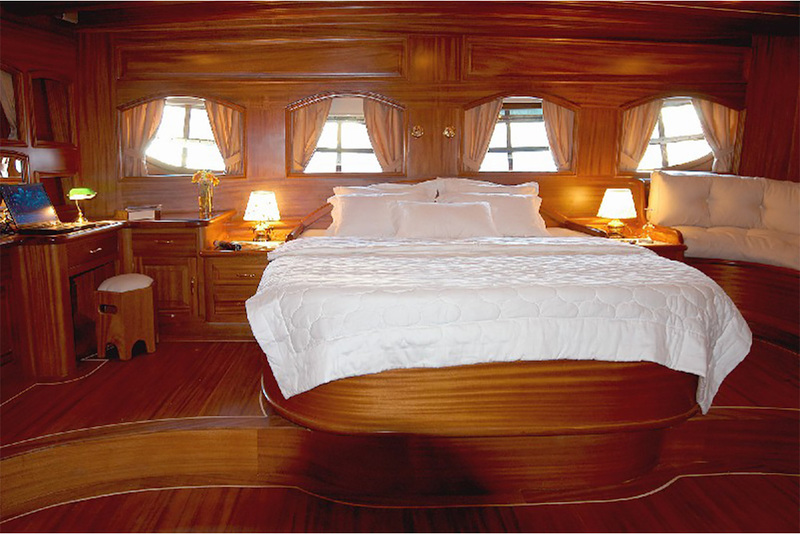 Accommodation is offered to a total number of 12 guests. There are five lovely and comfortable cabins, including a spacious master cabin, one VIP cabin, one double cabin, as well as two twin cabins. 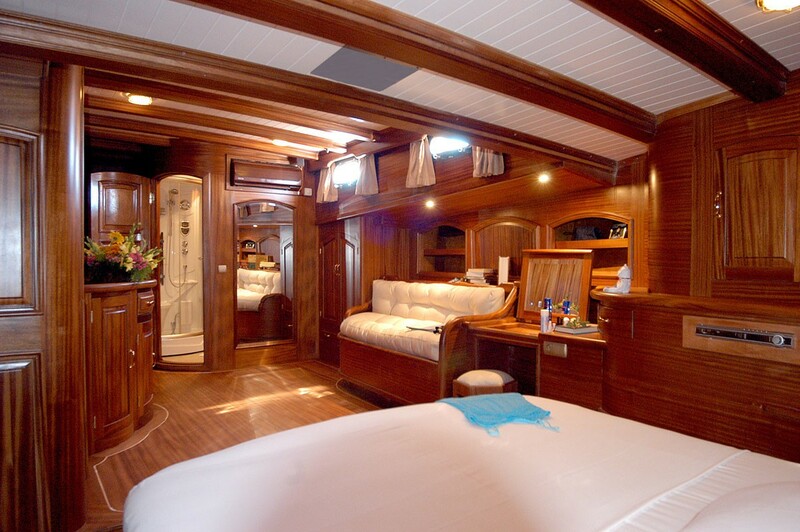 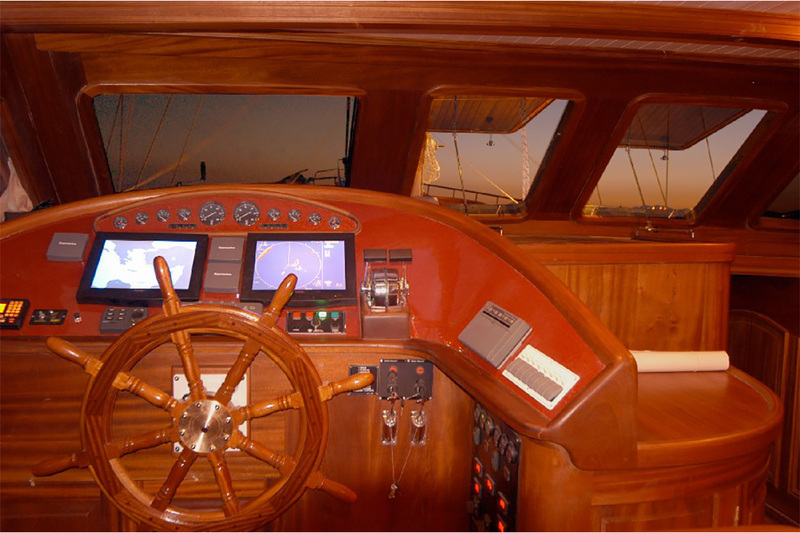 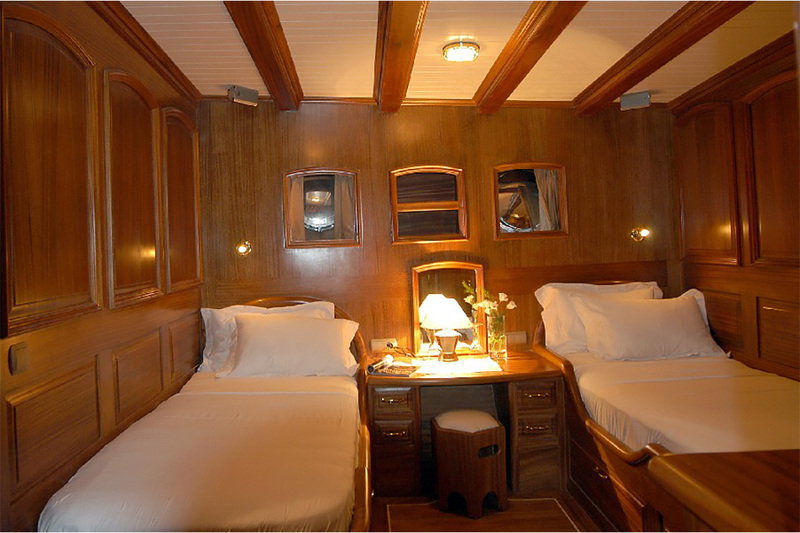 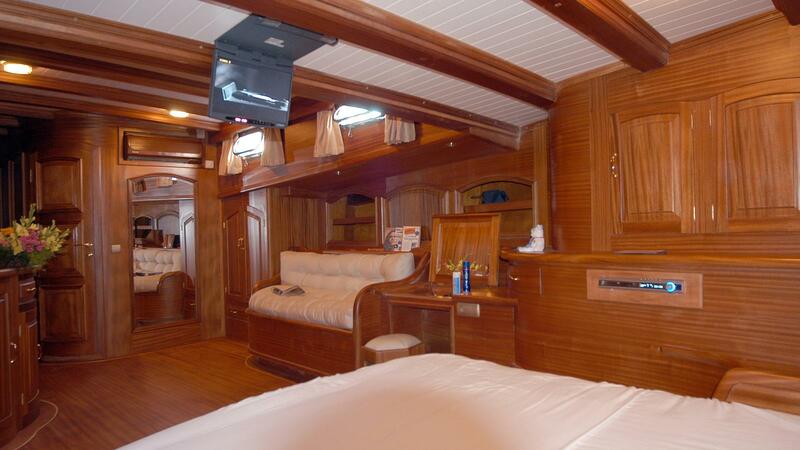 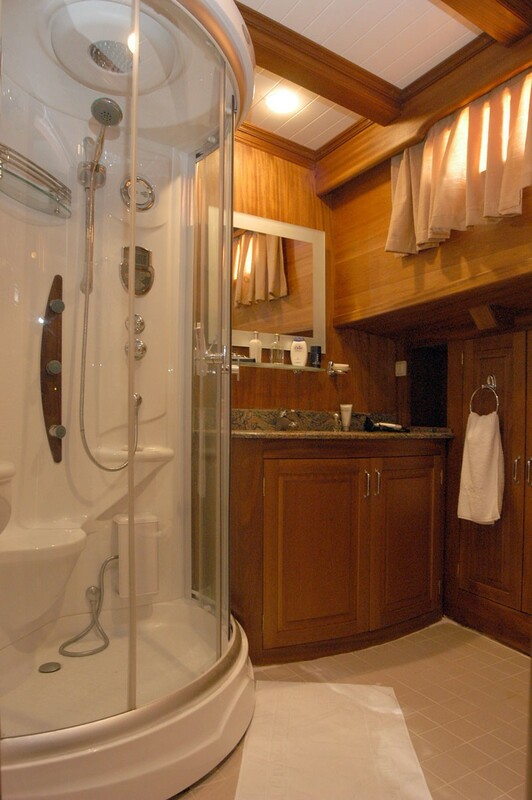 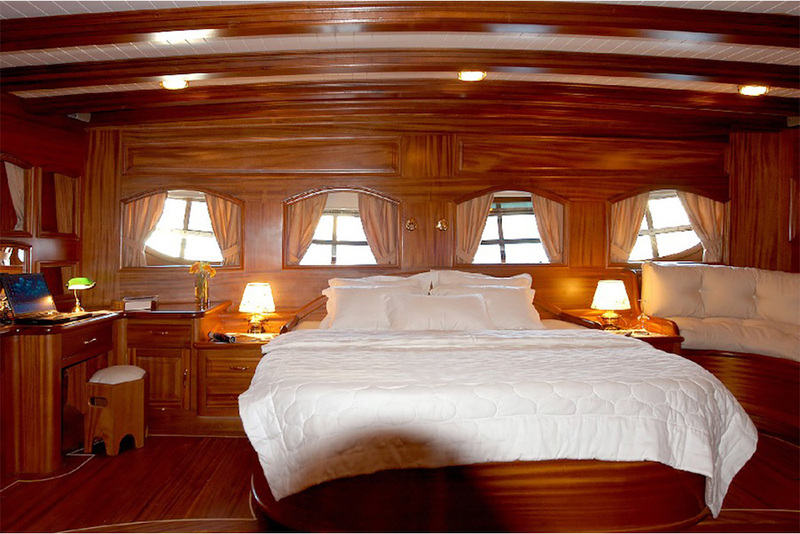 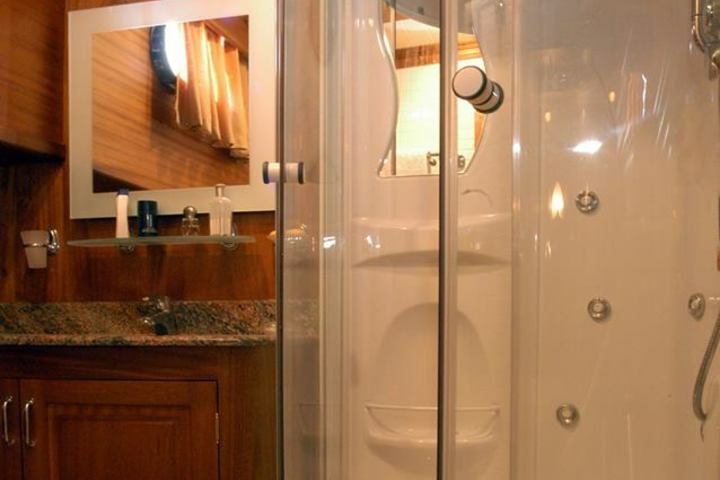 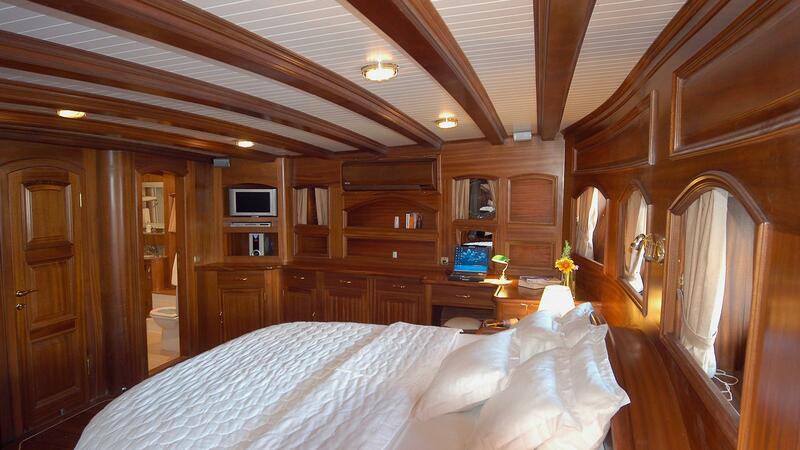 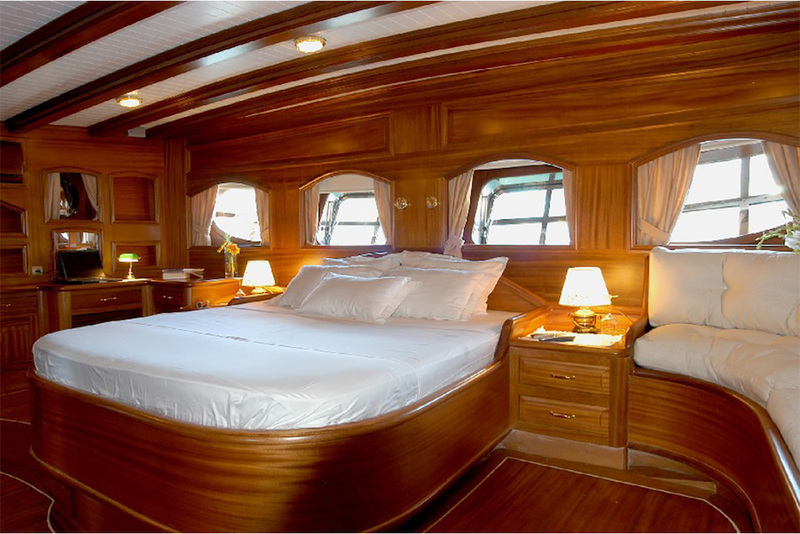 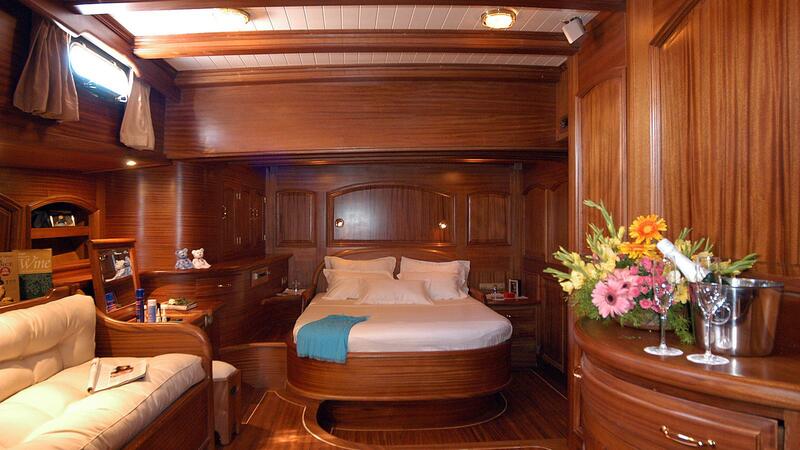 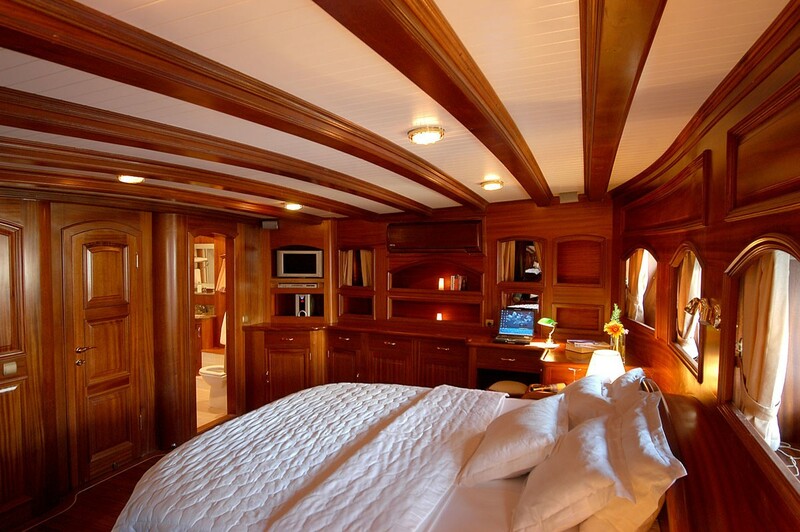 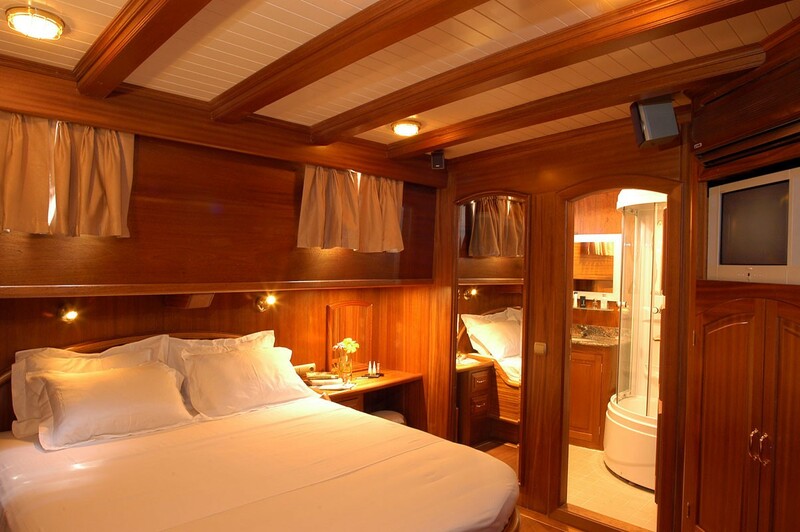 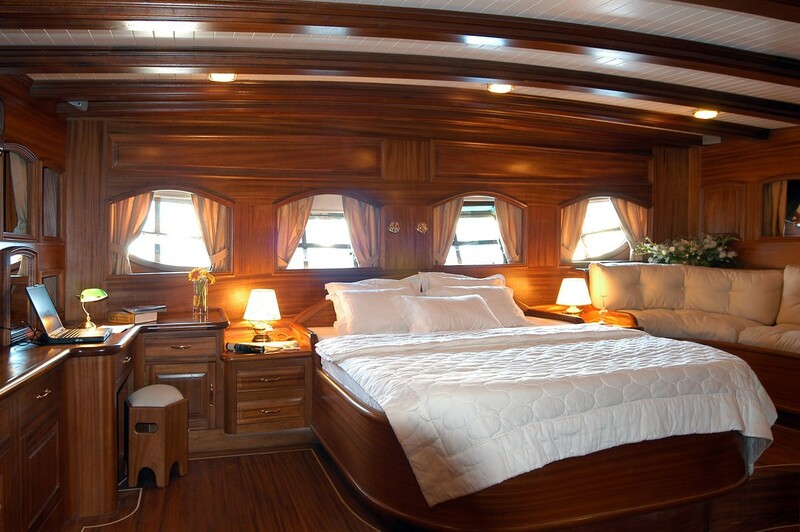 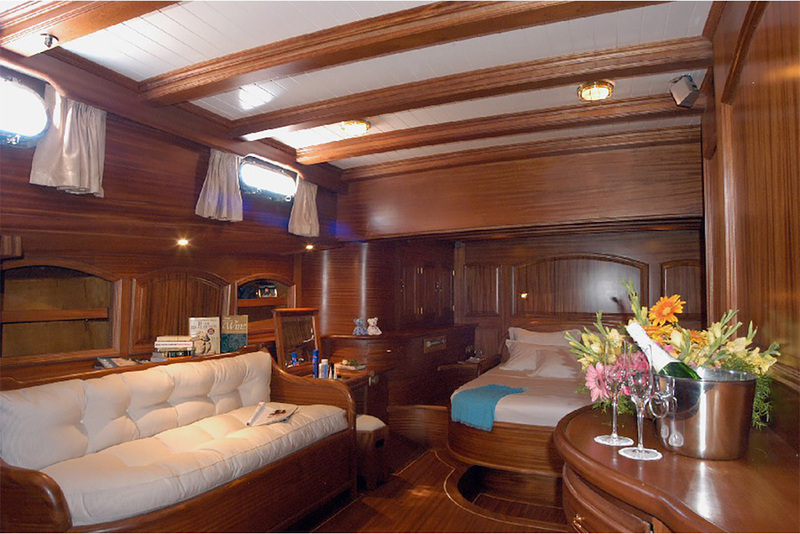 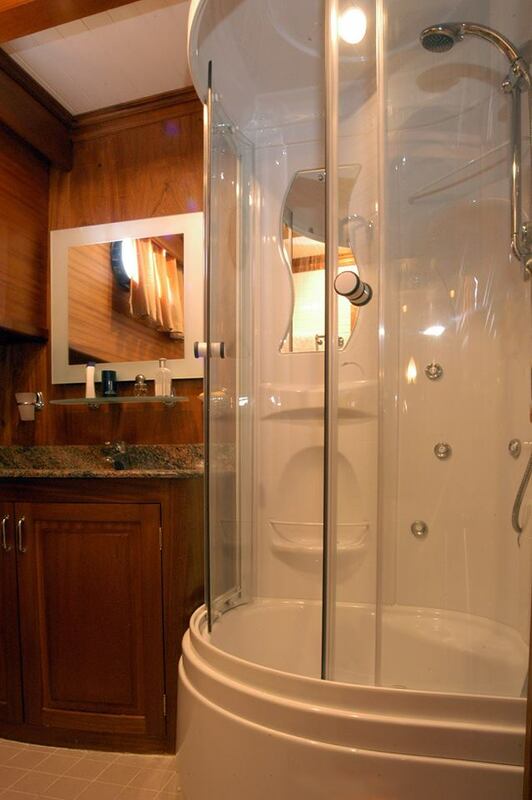 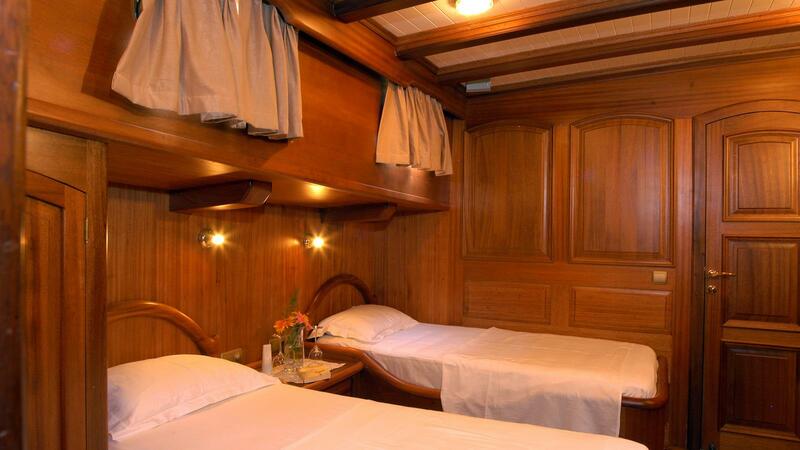 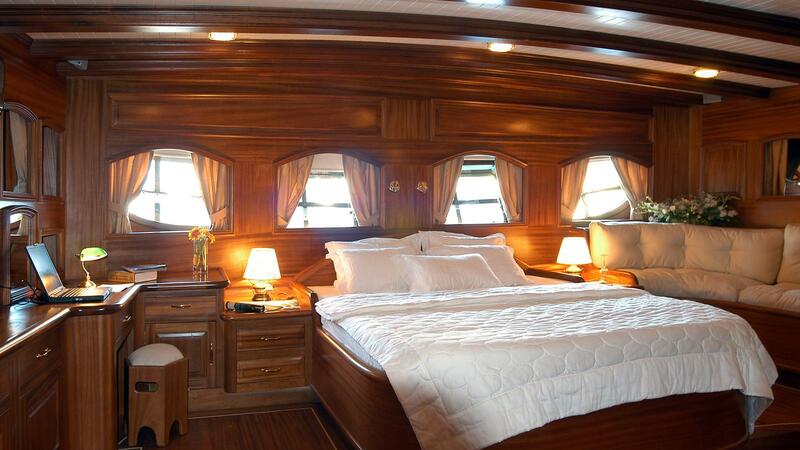 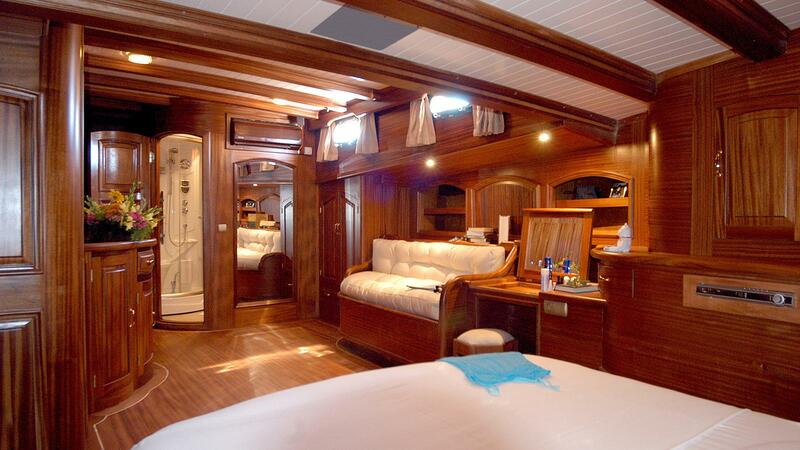 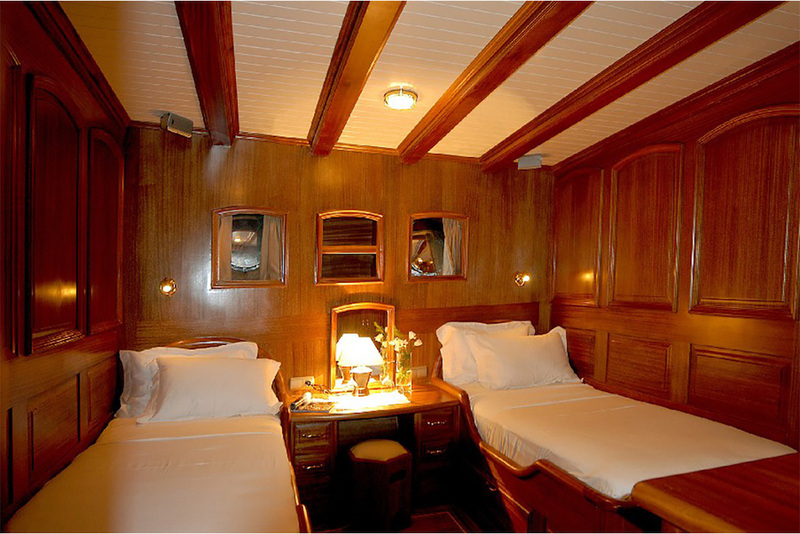 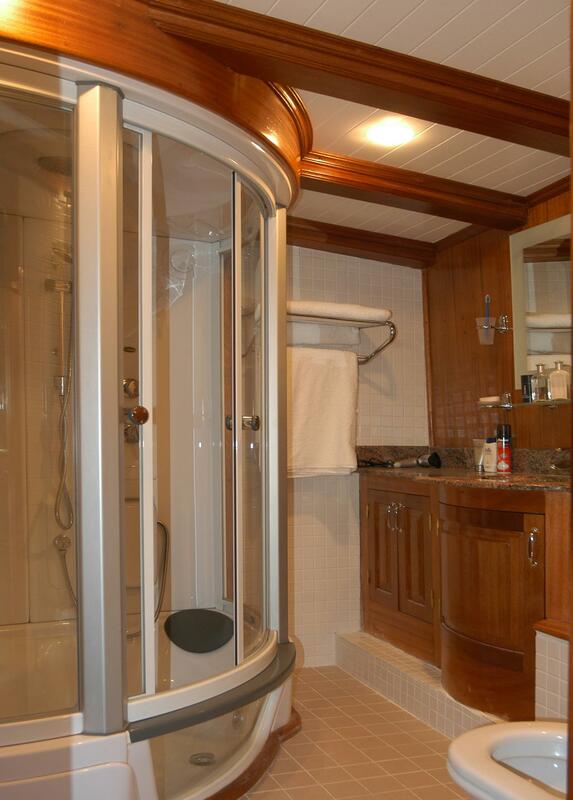 The master cabin is aft, and full beam of the yacht, with a center, lined king size bed and comfortable lounge. 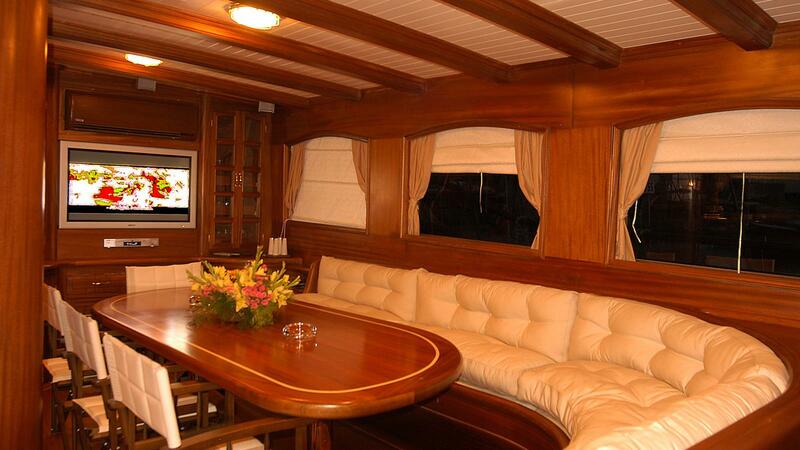 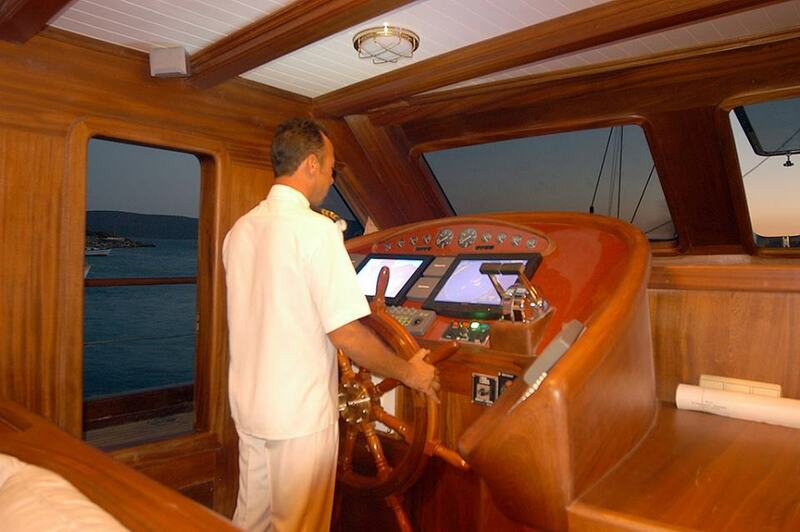 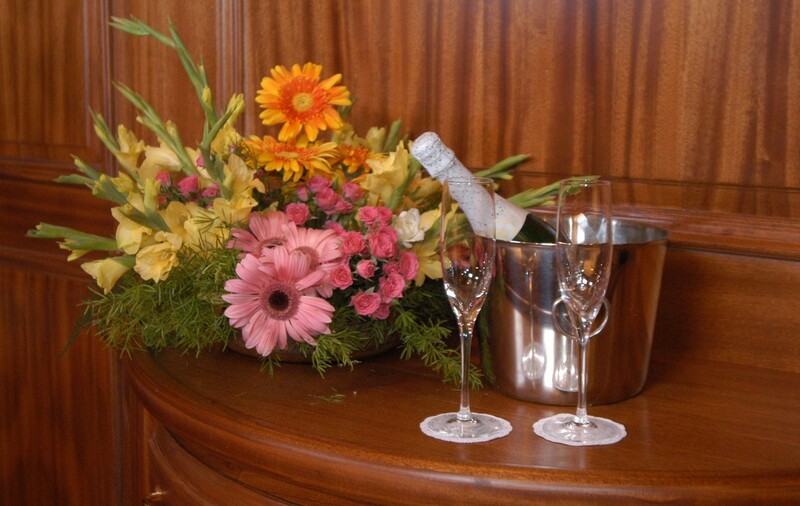 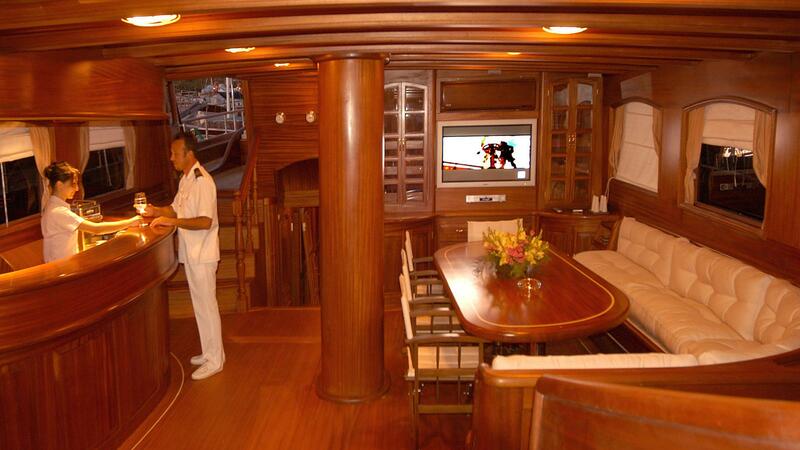 The VIP cabin is forward of the yacht to port and offers a private seating area. 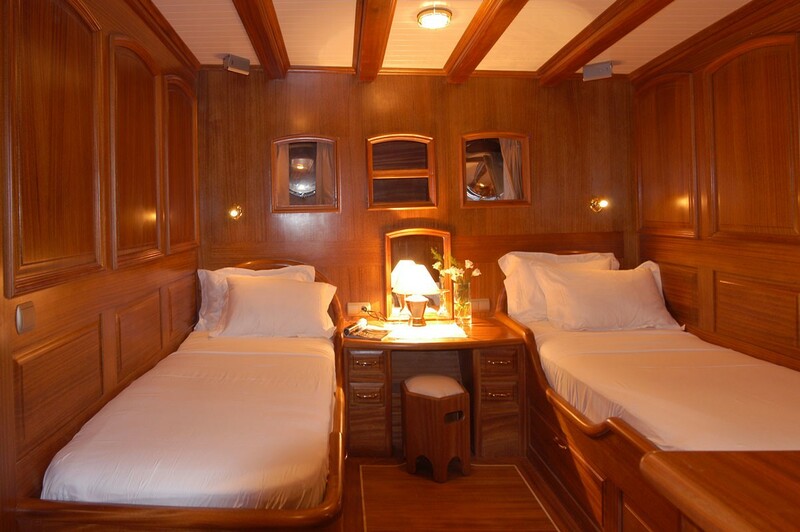 A double cabin offers a double walk around bed, while two further guest cabins each have side by side twin beds. 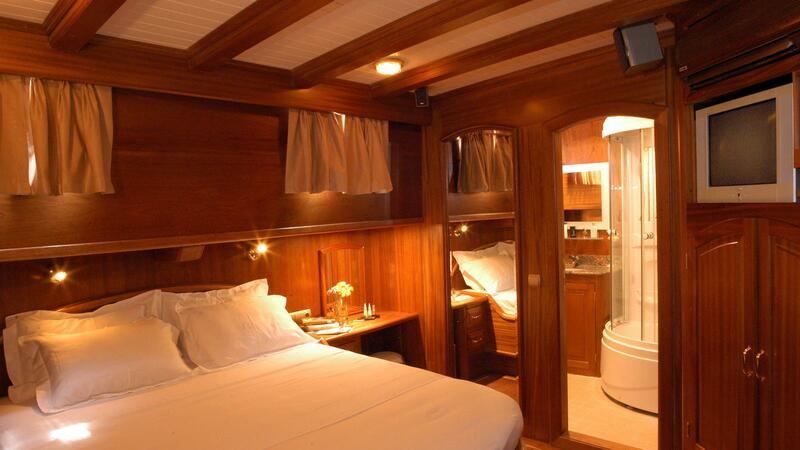 All guest cabins are fully air-conditioned and boast TV entertainment. 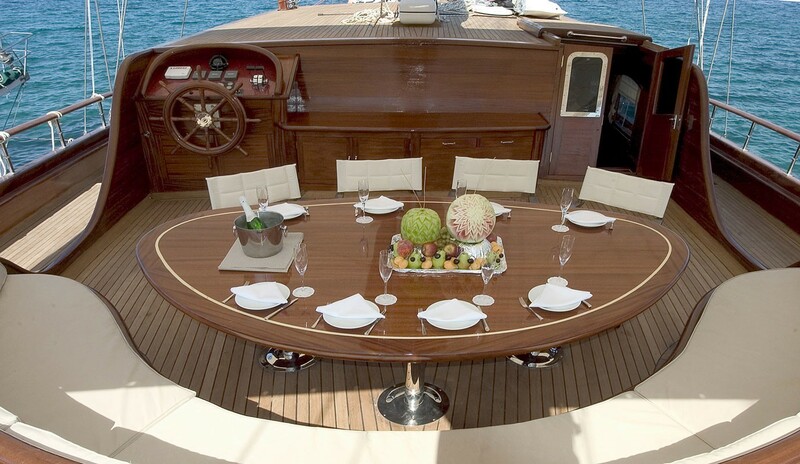 There is also space for a professional crew of 6 members.